Disclosure: I received something of value from InstaNatural. I was not required to write a positive review. The opinions I have expressed are my own. This content contains affiliate links. Full policy here. I had the opportunity to review two products by InstaNatural. InstaNatural products are natural and organic. I love products that don't have chemicals in them, so I was interested to check them out. I picked the Argan Oil Hair Treatment & Elixir, along with the Seaweed Powder. My hair is wavy, so it naturally tends to be on the dry side. Well, that and I also dye my skunk streak every 6 weeks, so I'm sure that doesn't help. When I wear my hair wavy, I am always applying oil to get rid of the frizzes. There are many different ways to use this argan oil spray. You can use it as a deep treatment conditioner, or like I do, for getting rid of any frizz. That is a whole lot of natural goodness going on my hair to combat frizz! Are you sensitive to certain smells? I know I can't handle strong smells. When I used it in my hair the argan oil had no smell what so ever. So, this is a great product for those with a sensitive nose. Would I recommend this product? Yes! It's actually great for all hair types. 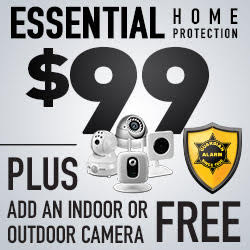 You can purchase it for $17.99, which is a great price. A little goes a long way, so depending on use, you could probably get 3-6 months out of it. Many years ago, when I was on a Disney Cruise, I had a seaweed wrap. I had little faith that it would work when I did it. You see, I have two daughters. Both were big babies. My second daughter was 9 pounds. My skin has been stretched and never quite made it back to where it was before I had kids. Yes, I know that's normal. I'm happy where I am, so I'm not complaining. I am very thankful for my girls and would do it all over again. So, back to the the wrap I had. I was amazed how it flattened my belly. I can't remember how many inches I lost, but that's when I found myself fascinated by seaweed. My daughter and I decided to have a little spa time, so we whipped up this body scrub for our legs and feet. Once you mix this up, apply and rinse off in the shower. If you do not like the smell of seaweed make sure you add some essential oils to tone down the strong smell. Your skin will feel so smooth. Follow up with your favorite lotion. 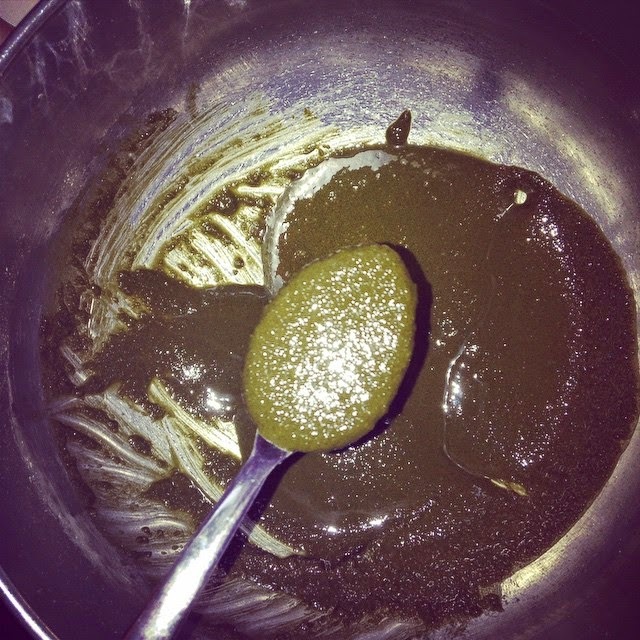 You could also mix the seaweed powder up to make a body wrap or as a facial mask. My skin felt so smooth and soft after I used the scrub! Would I recommend the seaweed scrub? Yes! I love the way it makes my skin feels silky, especially when winter makes everything so dry. I don't like the smell of seaweed, so I had to add the essential oil. 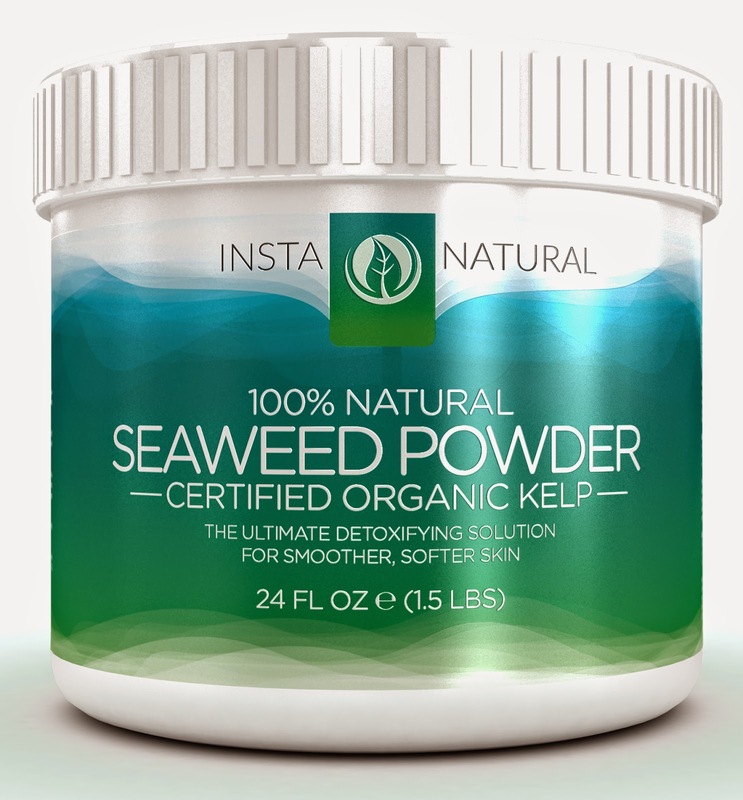 If you enjoy the smell of seaweed, you will love this product. 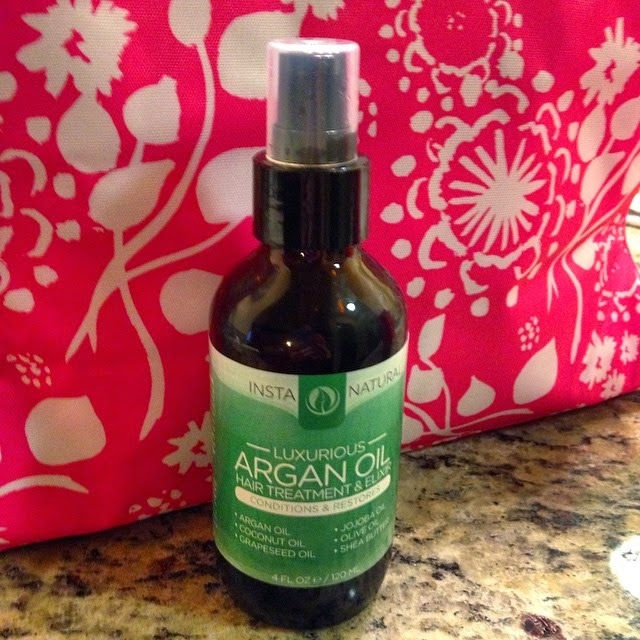 InstaNatural offers a wide array of natural, organic products that are reasonably priced. They offer skin, body, & hair products. You can also find their products on Amazon.